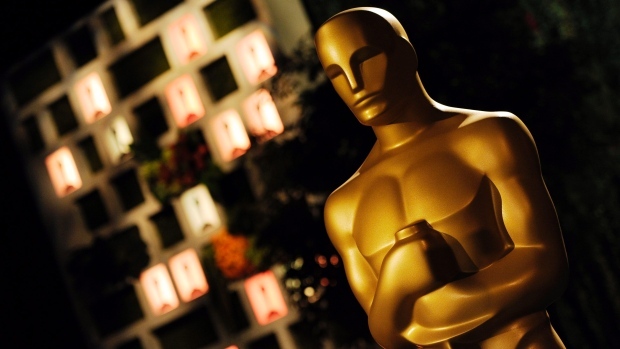 The 88th Annual Academy Awards are upon us and it has become one of the most controversial in years. Once again the issue of inclusion and diversity has surfaced and the lack of representation of people of color has become an issue due to one of the most popular social media hashtag campaigns of 2015 called #OscarsSoWhite. As a former theater student myself, I am sympathetic to the attention that the creator of this trend has given this issue. Like most issues dealing with race, people are divided over how to interpret Hollywood's race problem. On the one hand many people are avid film buffs and love movies just because they're movies. Given the fact also that Hollywood has historically been viewed, at least publicly, as a "liberal" community; it has caused some to criticize this negative publicity for Hollywood. Then you have those that wish to ignore racism and racial bias period, then you have others who just don't care. Then you have some who do care, but are tired of begging people in the dominant society for a seat at the table. This blog entry will address the last group most directly because I believe what needs to happen in the near future is the taking back of control of the black image. Maybe not completely, but at least have the ability to portray things without the need to seek approval from outside groups of people who don't share the same interests as you or I do. Don't get me wrong, I'm not in the camp that thinks performers of color should just sit down and be happy with what they have. The data shows that nearly half of all moviegoers in America are some sort of person of color. Whether that person is Black, Hispanic or Asian. So I think since Hollywood seems to be really dependent on the non-white dollar, the least they could do is make and nominate films that reflect the public more than what we have now. However the discussion can't exist solely around asking for inclusion. I sympathize with those who say that essentially we've been doing that for decades now and the quality of the results can be debated. It's time to do for self and there are many ways to tell your own story. Film is simply one medium, but there is also the novel, short story, novella medium too that people often overlook. In the near future, I'll actually be putting my written works up for sale via Amazon...so be on the lookout for that. In my opinion, it's not even just about building a Black Hollywood but a Black media as well. Not only film media but also social media. Social media has brought about a technology-driven revolution that has become something of a disruptive technology. You could also view it as a disruptive application of a current technology in the Internet. However you want to describe it, social media is the way to go and the easiest path forward for most people as it allows everyone to get involved at a fairly low cost. The potential applications are numerous. Design an app, if you don't know how to then learn. You have all of these 'empire-building' apps in the App Store with the same generic European design and setting. Not a single one set in a fictional African setting. The first person to do this and do it well could potentially make a lot of money because as far as I'm aware it hasn't been done yet. Then you have your role-playing games (RPG's) that follow the same European trend. You utilize the tools provided by online marketing and social media marketing to advertise and self-promote your app or your short story. The author of 'The Martian' (which became a film of course) initially sold separate parts of the eventual novel in ebook format on Amazon for $.99. It became so successful that when he compiled it into a full novel it sold 35,000 copies in the first 4 months. It doesn't require a TON of sales for something to be called a "best seller" or even be recognized for selling well if not being a bonafide bestseller. You'd promote this the same way you'd promote the app or anything else you're trying to sell or get someone involved in. Here's the key to all of this though, it requires YOU the reader to participate. Much like crowdfunding, none of this will ever be successful if people don't actually financially support what is put out there. Word to the creators and inventors of these technologies or works of liberal arts however...you must come correct. Don't sell or promote a product you wouldn't buy yourself or something you wouldn't think is hot. This also means though that when positive films do come out that people take a couple hours out of 1 day over a span of 2 or so months to check the film out. Buy books written by Black authors and support Black businesses...both online and in the physical world.